When we started the partnership of the Oklahoma Drug Card Program and the Oklahoma Municipal Services Corporation a few short years ago, the program had saved Oklahoma residents over $12 million. 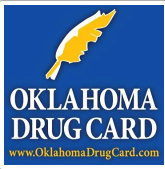 With the participation of the Oklahoma Municipal Services Corporation, the Oklahoma Drug Card Program has now saved Oklahoma residents MORE than $52 million! About Oklahoma Drug Card: The Oklahoma Drug Card was launched to help the uninsured and the underinsured citizens of Oklahoma afford their prescription medications. People who do have prescription coverage may use this program for non-formulary or non-covered drugs. The program may also be used by people who have health insurance coverage with no prescription benefits. Medicare patients find the Oklahoma Drug Card beneficial when they enter the “donut hole” on prescription benefits. The Oklahoma Drug Card is being funded through the participation of pharmacies and pharmaceutical companies. The program has received support from both the public and private sectors. To date the Oklahoma Drug Card has saved Oklahoma residents over $52 million since 2007. The Oklahoma Municipal League and its member cities and towns are working with the program to create awareness. When citizens use the Oklahoma Drug Card not only do they save money on their prescription drugs, but they insure that money is spent in the local economy. For more information contact Joe Willard at 918-640-9395 or joe@oklahomadrugcard.com. You can also visit their website www.oklahomadrugcard.com.